Perhaps one of the biggest nuisances during the fall is keeping your gutters clear. As troublesome as it is, though, it is necessary! If you ignore build up in your gutters, the consequences can be damaging. Gutters function as a way of directing rainwater away from your house. When they get clogged, it blocks this route, redirecting the rainwater to less-than-ideal places. Fall is an especially pesky time for gutter maintenance because of falling leaves. Below are some of the fastest and easiest ways to clean leaves out of your gutter this fall. Depending on the number of leaves in your gutter, it may be easiest to put on a pair of heavy-duty gardening gloves, get on your ladder, and get rid of the leaves by hand. Doing this eliminates the use of bulky and heavy equipment, and if the number of leaves is minimal, it will take the least amount of time. We can’t stress the gloves enough! Sometimes debris can be sharp or hazardous, so you’re better safe than sorry. Leaf blowers are often the perfect tool for getting rid of leaves that are clogging up your gutters. Make sure that while you are using your leaf blower, that you do not push any leaves into the downspout. This can clog and be a pain to clean out. You will need to stand on a ladder to use your leaf blower unless you have a special attachment, which you can often buy at the hardware store. Your garden hose can be an effective tool to clean leaves out of your gutters this fall. There are attachments you can buy which streamline the process, but they are not necessary. Some attachments allow you to clean your gutters out from ground level. If you use one of these, make sure to check to see all of the leaves are gone afterwards, and get rid of the residual leaves by hand. 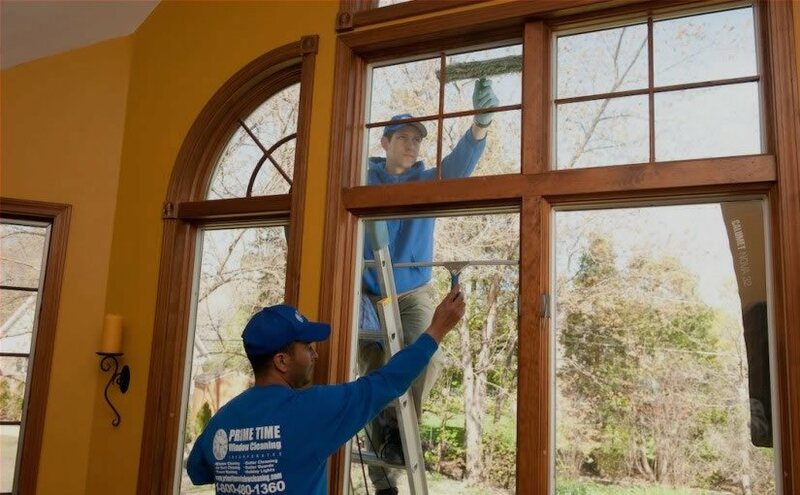 If you do not want to attempt this chore on your own, Prime Time Window Cleaning is here to help. We offer complete gutter cleaning services. Be sure to also ask us about gutter guards that seal out leaves! 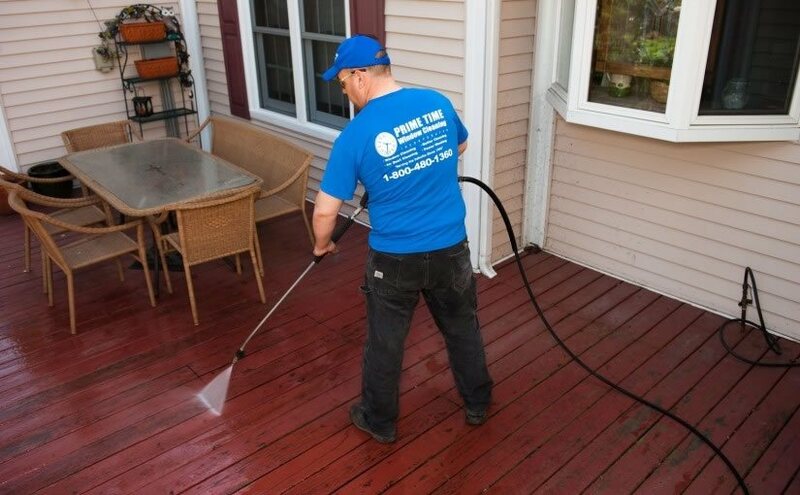 Call today for a free estimate at 1-800-480-1360.